The greatest environmental novel of all time, "The Duel at Checkpoint Charlie". - akintekins Webseite! 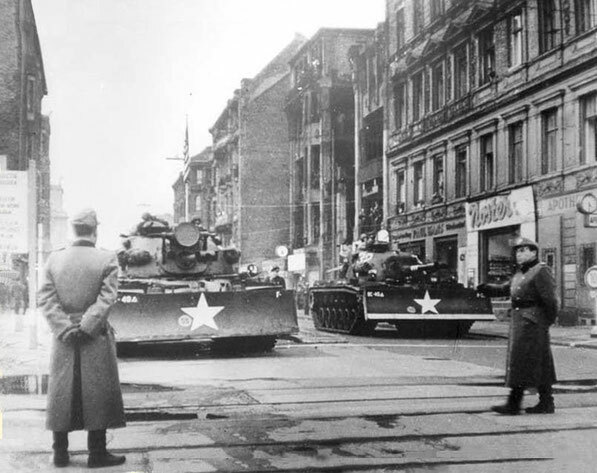 What was it like in Berlin and East Germany when the Wall and Communist Germany were still in existence? My novels will transport you to that time, to live through a hopeless love and an attempted escape via Checkpoint Charlie to West Berlin. My website also provides abundant information about the former Communist Germany, which may be of particular interest to the younger generations who wish to learn more about that era. The greatest environmental novel of all time, "The Duel at Checkpoint Charlie". This is the story of the legendary boxer, Erol Atila, who, thanks to his father, has a pure and unadulterated love of Nature, and a clear understanding that the future of human life is unequivocally dependent on the quality of Earth's natural environment. His life is centered around his quest to instill the idea of eco-socialism in the hearts and minds of the people he meeets. This premise provides a unique opportunity to consider the differences and similarities between capitalism and communism, and how eco-socialism might or might not evolve from either system, as the protagonist travels back and forth between East and West Germany during the years preceding the demise of the German Democratic Republic and the destruction of the Berlin Wall. At the same time, Erol's life is filled with personal relationships, loves won and lost, exciting brushes with danger, and tender moments of pure joy. "The Duel at Checkpoint Charlie" is a page-turner, with more than enough content to hold the interest of the reader from start to finish. Evident throughout is a sensitivity that makes much of Tekin's writing seem almost poetic. This novel clearly portrays the author's passion for Earth's natural environment, as well as his dire forecast for the short-lived future of the human race, failing a massive global initiative to repair the damage we have done to our environment and, more importantly, to halt further assaults on nature. That eco-socialism can save our environment - and us - is, arguably, a valid concept.